Britain has some of the worlds best architects and engineers. To celebrate this wealth of talent Icopal have commissioned a series of portraits by Timothy Soar, with commentary by Isabel Allen. 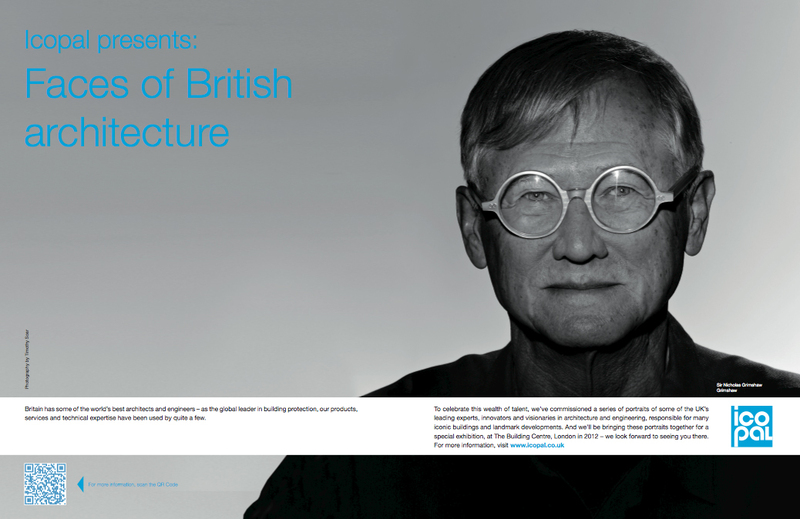 This series of images represents UKs leading experts, innovators and visionaries in architecture and engineering, responsible for many iconic buildings and landmark developments. The exhibition, curated by Lorna Soar, can be seen at The Building Centre in January and February 2012.